Getting there – very, very slowly! 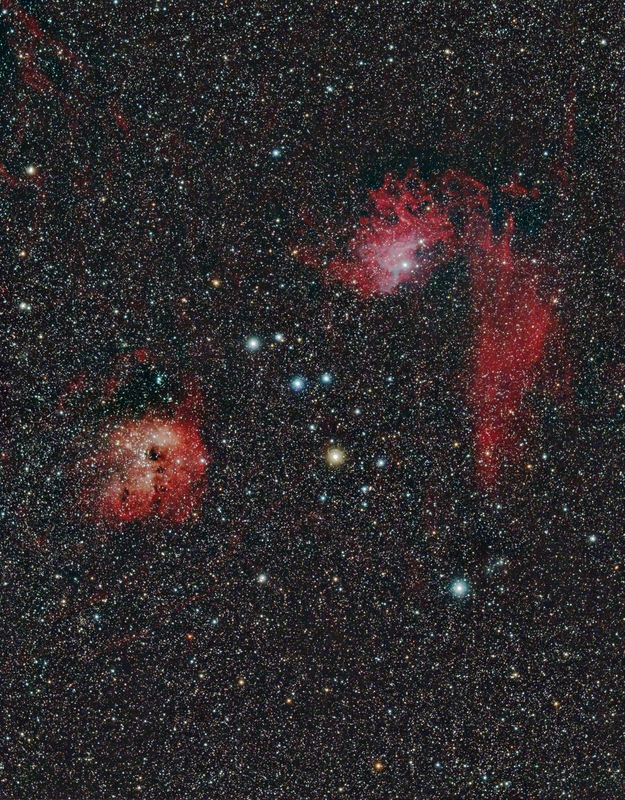 Here is a two-camera two-scope mini-WASP image taken a few nights ago. It is fairly poor overall mainly because this was only 4 sub-exposures (they were however 1,000 second subs). I can make a vast improvement to this image with more imaging time, but the main thing is that the image gives me a good idea of my new FOV using the mini-WASP array. 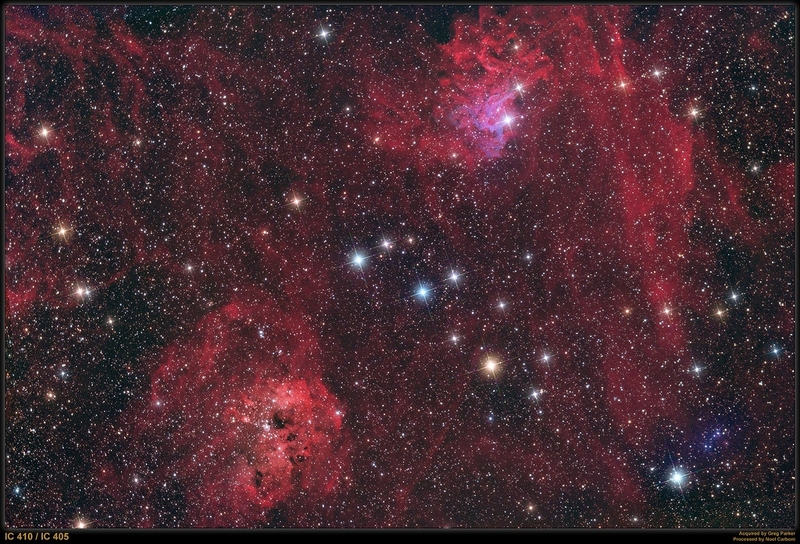 I have always been a little cheesed off with the earlier image I took of this region with the M25C and Sky 90 (RGB plus H-alpha data, and quite a few hours of it!) 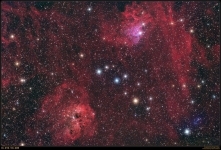 as it didn’t quite get both nebulae in the FOV with the framing I chose (I should have rotated the camera a touch). As you can see, the two camera (M26C) two scope (Sky 90) mini-WASP FOV more than adequately covers the region 🙂 So, we wait for the next clear evening and try again.